Grew Up... in a poor home in rural Massachusetts. His father abandoned his family at a very young age and his mother has never ceased to be disappointed in Jack, continuing even now to make appearances in his life just to express her discontent. Living... in a luxurious New York City apartment, well-suited for the business tycoon. He spends more time at work, though, where his office is nearly as large and impressive. Profession... TV executive. Jack has worked in various senior positions in television, including Vice President of Programming and eventually President of NBC. He is extremely invested in what he does and thrives off the power that it gives him. His work is his life, and a near-death experience only convinced him he had his priorities in order, “My whole life passing before my eyes. And all the time I've been on this earth I have only one regret: I should have worked more." But Jack isn’t just out for himself in the boardroom. He prides himself on his mentoring ability, particularly with his self-claimed protégé, Liz Lemon. Relationship Status... quite the ladies-man. Jack is wealthy, handsome, and well-spoken – and he knows it. He once told Liz that he is successful romantically because he is “confident, open and positive,” and he’s right – except about the “open” part. While he has squired many of the nation’s most powerful and attractive women, Jack often ends up putting his career (and himself) first. He has trouble sticking to a long-term commitment. Challenge... getting ahead. Professionally, Jack wants to be King of the World, or at least King of Television, which to him is essentially the same thing. Personally, his mother Colleen is his albatross. Jack blames her for the failure of several of his romantic relationships and takes every word she says to him to heart, over-analyzing her comments for days, trying to figure out their subliminal negative connotations. Personality... prideful, charming, and opinionated. He generally feels he’s the smartest and most accomplished person in virtually any room, and thus doesn’t hesitate to offer unsolicited advice to anyone. He is definitely a "tough-love" mentor, once telling an employee, "Well, then you best go home and put on your daddy's shoes, boy. This is a man’s game.” But hey, he’s just trying to toughen them up. Just look how far Liz Lemon has come! 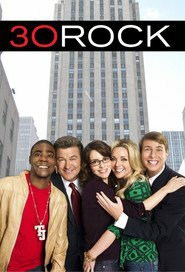 Jack Donaghy's popularity ranking on CharacTour is #2278 out of 5,000+ characters. See our top-ranked characters and read their profiles.